Each week we like to showcase a photo and description of trendy, new or interesting real estate related content for your viewing pleasure. This can be anything from a luxurious home or amazing before and after renovation shots in and around the province. 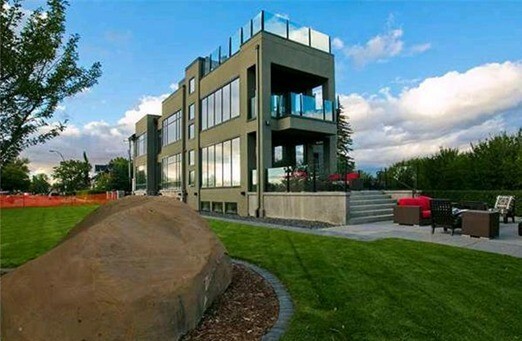 This week our focus is on the Calgary Luxury Homes market. The booming city attracts a wide range of affluent business owners, wealthy upper class and venture capitalists who want the most out of life. Their thirst for originality and distinction leads to some stunning homes valued in the upper millions. Our pic of the week is an amazing feature home with custom architecture located on Crescent Road. If you are interested in potentially purchasing this beauty, it’s listed for a cool 11.5 million dollars.